She starts walking through the city, and I suddenly realized that it was Christmas. Decorations in the streets and windows, snow in the air. Aoi realizes it as well, and indulges in a humorous daydream sequence in which she tries to give away key frame assignments while barefoot in the snow, a la The Little Match Girl. The fantasy continues to her peering into the windows of big important animation studios, seeing famous anime characters (pixelated against copyright claims, even though it’s an anime about anime) cheerfully completing animation. The next episode, “Exodus Christmas!” continues the Christmas season and the rush to finish the final episode. Aoi finds out that their senior animator, who’d been relegated to working on children’s projects, may be able to do the difficult sequence. The entire team pulls together to finish the episode just in time for air. Something I really loved about this was the way Christmas was present in the background, but only mentioned vaguely by the characters. That’s partially because they are in Japan, and Christmas isn’t so all-encompassing there. But it is also partially because when you work in the entertainment industry, the work comes first to a ridiculous degree. Believe me. I thought the episode did a good job of portraying both the challenges of that mindset (people sleeping in the office and running themselves ragged) and the triumph when you succeed in creating something that you’re truly proud of. Their final episode delivered, the crew at Musashino break for the holidays, and the next episode picks up in the new year. 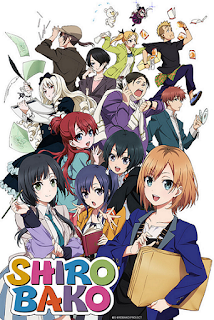 As of posting, Shirobako is available streaming on Crunchyroll.